President Emmerson Mnangagwa's government has intensified efforts to revive road and bridge projects that were abandoned more than 30 years ago. The country's road infrastructure is in dire need of rehabilitation to improve economic growth and meet international standards after years of neglect resulting in most roads going beyond their 25-year lifespan. Government has so far set aside nearly $400 million for the construction of roads and bridges across the country to work as a catalyst for the development of the nation. Masvingo provincial road engineer Arnold Jeme said it was critical for the government to place all its bets on infrastructure to revive the sagging economy. "Several projects in Masvingo, as well as other areas, were suspended during the Zimbabwean dollar era due to the harsh economic environment. But now we have received significant funding from the government to resuscitate the projects," he said. "For instance we have so far received $4 million for the construction of Chilonga Bridge out of the required $14 million. We have had to do reviews on the designs of the bridge, which were done in 1986, to ensure that it is in line with latest industry standards," he added. Plans to construct a new all-weather bridge across Runde River were mooted more than 30 years ago as a way of replacing the old low-lying bridge, which currently floods during the rainy season and hinders the smooth flow of traffic. An estimated 30 people have lost their lives, while vehicles were swept away in the past two decades as they attempted to cross Chilonga Bridge, which spans the crocodile-infested Runde River, during floods. Jeme noted that when completed, the bridge - expected to be 450 metres long - would be the longest in the area. The Masvingo roads engineer said the province was allocated $89 million this year, compared to $4,5 million last year, aimed at constructing, resealing and surfacing roads in the province that were neglected by the previous government. "We are working on the construction of Gutu-Karoi road that was suspended in 2006 and we will soon be going to tender. The designs are already in place and the project can kick-start at any moment from now. "We are also upgrading another piece or road from Chivi turn-off to Shurugwi, whose construction stopped in the 1990s," he said. In Matabeleland North several roads inherited from the Rhodesian era are also being refurbished while construction work for other projects that were suspended has since been resumed. Joseph Makokove, the area's roads engineer said the province was allocated close to $21 million in 2018 - up from $3 million last year - to carry out various project. "We are in the process of finalising a high-level Ingwingwizi Bridge, which links Bulawayo and Nkayi that was initiated in the year 2000 and was suspended due to funding challenges," he said. Work is also being done on the Bulawayo-Nkayi road that has been neglected since 2011. Midlands provincial roads engineer Stephen Kamutema said the province has so far repaired roads and damaged bridges, some of which had been lying unattended for years. He said one of the major bridges that the province has since completed with support and funding from the new administration was the Mwenezi Bridge in Mberengwa that had cut connection between Mberengwa and West Nicholson. 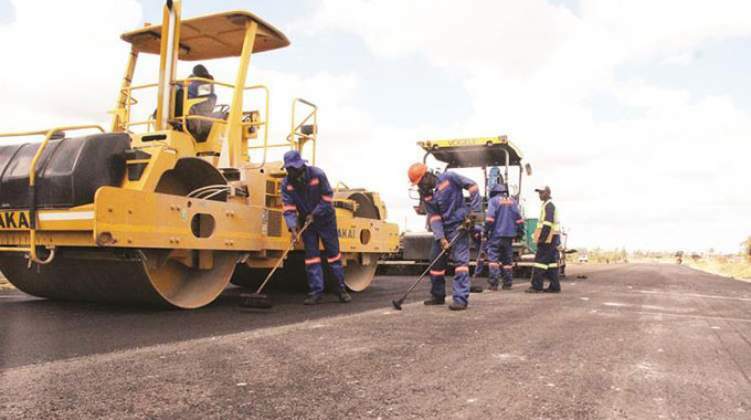 Zimbabwe National Roads Administration spokesperson Augustine Moyo said it was important for the government to put in place a comprehensive road maintenance programme to keep the infrastructure in good shape. "It is more expensive to construct new roads than to maintain the existing road network," he said during a media tour of the provinces.